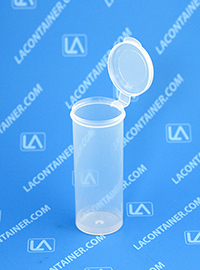 The Lavials® VL25H Large Hinged-Lid Lab Vials is manufactured in the USA with FDA compliant polypropylene, making it safe to store food and candy. 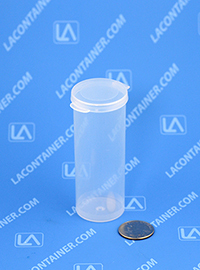 The plastic vials feature an attached hinged lid that is air and moisture resistant to keep sensitive items protected and will prevent the loss of the lid. 1.33" Dia. X 3.57" Ht. 38.10mm Dia. X 93.47mm Ht. 33.78mm Dia. X 90.68mm Ht.